Recommended for tents 1000 sq ft. or larger. One heater per 1000 sq ft. Does not include the rental of a 100 lb propane tank. Use your party tents year round! 1. Figure cubic square feet of space to be heated. Length x width x height Example: 50' long x 30'wide x 15' high= 22,500 Cubic square foot of space. 2. Figure cubic square feet of space to be heated. Length x width x height Example: 50' long x 30'wide x 15' high= 22,500 Cubic square foot of space. 6. Multiply by .133.133 x 900,000 = 119,000 or approx. 120,000 BTU/HR needed to heat the building. 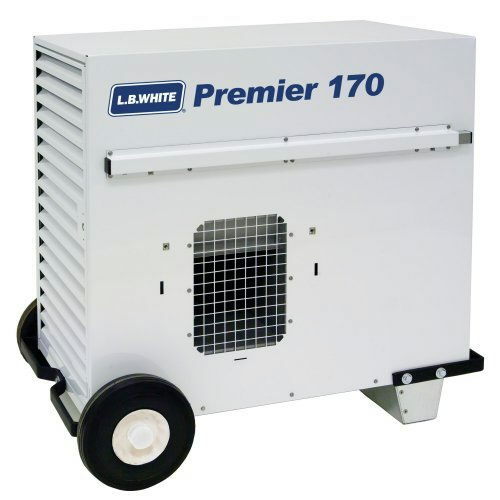 * Looking for 170 000 btu tent heater rental in Fort Worth for your party, wedding or special event? Check out our extensive party rental catalog or call us today!